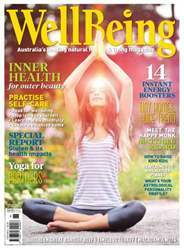 Issue 150 of WellBeing focuses on how you relate with yourself, others and the Earth. We look at the benefits of practising yoga with a partner, the trend towards building tiny homes, the art of mindful walking and how to nurture kind children. 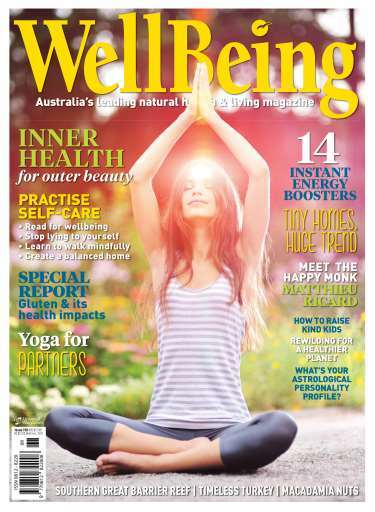 Read about natural ways to ease the heavy-metal burden on your system with our in-depth special report, discover the health benefits of macadamia nuts and how what you eat can heal your skin, and learn 14 ways to boost your energy. Also, meet happy monk Matthieu Ricard, travel with us to Turkey and the Southern Great Barrier Reef, and learn how rewilding projects can be valuable tools for conservation.